If you’re an electrical engineer or a hardware specialist, then you most likely know how to define and differentiate between oscillators and crystals. However, if you’re not in the industrial field, these terms may be confusing. The oscillator and the crystal are utilized in processors and other electrical devices. One can find these components in the Central Processing Unit (CPU) of desktop computers, laptops, gaming consoles, cellular phones, and other complex electrical gadgets. Both the oscillator and the crystal allow a processor to work. However, their similarities end there; people who think that oscillators and crystals operate in the same way are mistaken. They are two different components and power up the processor in different ways. The oscillator provides total connectivity to a processor clock. It has either a plastic or metal exterior, and is comprised of four pins. Two of these pins serve as conduits for power. The third pin serves as output, while the last pin is used to accommodate extra mechanical connection. The oscillator is configured with a buffer, which means it is capable of high output drive tasks. The crystal is not as multi-featured as the oscillator, simply because it is one of the many things that make up an oscillator. The crystal forms the oscillator along with other parts such as the trim caps, inverting amplifier, and proper output buffer. Furthermore, crystals need to be calibrated in order to fit into an oscillator configuration. Details such as loading parameters and resonant cut types need to be finalized before inserting the crystal into the oscillator. In simple terms: the crystal is simply a part of the oscillator. 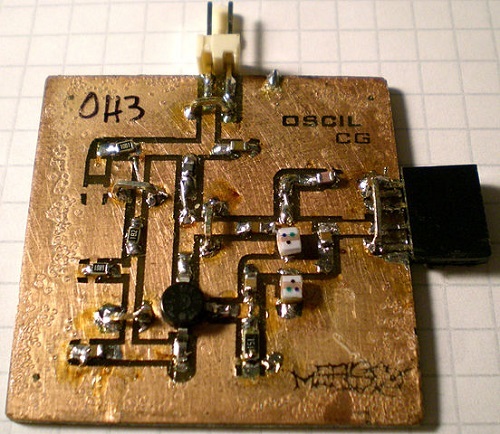 Synchronizing a crystal to work with a particular oscillator can be difficult, which is the reason most engineers buy a full-fledged oscillator rather than separate parts, such as the crystal, with assembly in mind. Veteran engineers, however, would rather choose the crystals themselves, because they know which type of crystal can optimize an oscillator’s performance. Fitting the right crystal to an oscillator will significantly boost the speed of the clock processor. Clock processors that break down easily usually have a faulty oscillator. The crystal and other parts of the oscillator need to be in tip-top condition in order to garner a safe, fully optimized clock processor. Where can one purchase the crystal or the whole oscillator package? One can buy these at industrial shops, or sometimes even at industrial assembly plants and computer warehouses. The clock processor, after all, is a valuable piece of equipment, and manufacturers always have ample amounts of oscillators on reserve just in case the clock processor breaks down. 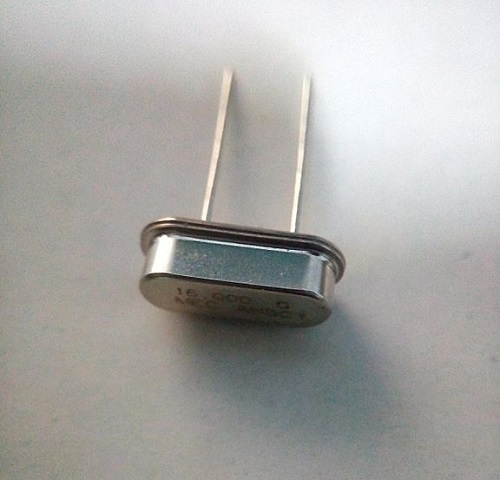 In order to learn more about crystals and oscillators, you can search the Internet for specifications on crystal and oscillator brand names and performance capabilities. If you want to assemble your own oscillator, you can also search for do-it-yourself guides on the Internet or consult various forums. The crystal and the oscillator are both components of the clock processor. The clock processor is utilized in desktop computers, gaming consoles, and other complex electrical gadgets. The oscillator has either a plastic or metal exterior, and is comprised of four pins. Two of these pins serve as conduits for power. The third pin serves as output, while the last pin is used to accommodate extra mechanical connection. The oscillator is configured with a buffer, which means it is capable of high output drive tasks. The crystal is only a part of the oscillator. It should be compatible with a certain oscillator configuration in order to ensure that everything works in optimal condition. Celine. "Difference Between Oscillator and Crystal." DifferenceBetween.net. June 29, 2017 < http://www.differencebetween.net/technology/difference-between-oscillator-and-crystal4/ >.